У середу, 14 грудня, відбулася підсумкова конференція студентів “Молодіжної лідерської академії”. У малому залі засідань міської ради випускники представили власні міні-проекти, розповіли про своє бачення змін у місті та плідно поспілкувалися із присутніми експертами: міським головою Василем Онутчаком, секретарем міської ради Володимиром Губарчуком, керуючим справами міськвиконкому Олександром Шимком, працівниками управлінь та відділів міськвиконкому, депутатами міської ради, підприємцями, членами громадських організацій міста. Завершилося навчання, проте випускники не перестали працювати над втіленням власних ідей у життя. Тож найближчим часом сподіваємося отримати якісні зміни, ініційовані молоддю. Нагадаємо, що проект “Молодіжна лідерська академія” реалізовувався “Центром соціальних та ділових ініціатив” у Яремчі протягом вересня-грудня 2016 року. 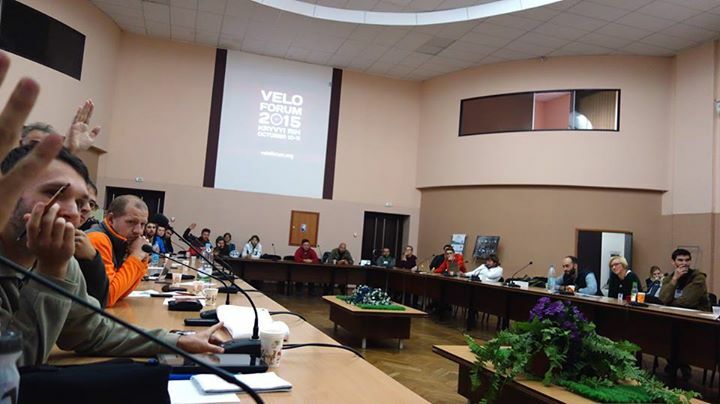 On 10-11th of October the city of Kryvyi Rih hosted the international conference Veloforum – the main event for cycling activists in Ukraine, which brought together public representatives, experts, enterpreneurs and local governments representatives to share experience and ideas on the development of cycling. 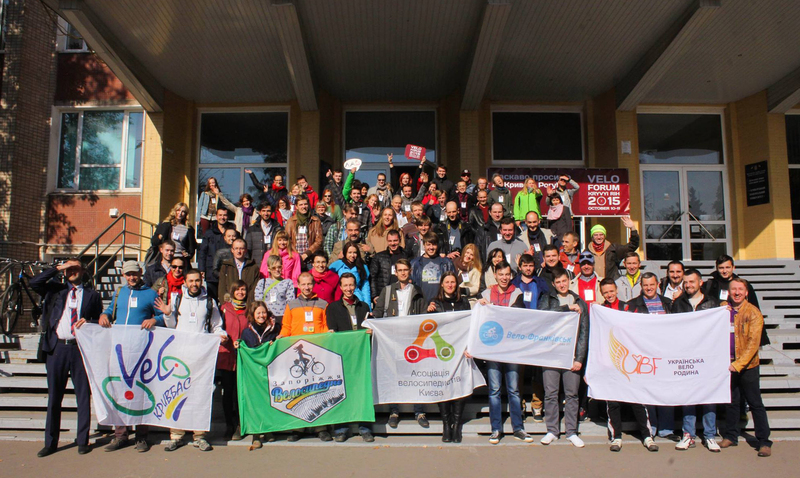 This year, Veloforum gathered over 110 participants from 29 cities of Ukraine and from six European countries: Belarus, UK, Germany, Poland, Serbia and Ukraine. Besides intense program of presentations, participants got time for informal communication and industrial cycling tours in Kryvyi Rih. “Such events as Veloforum is not only a great opportunity for bicycle activists from all over Ukraine to meet, but also extremely motivating occasion for the local community, particularly cycling ones, to unite and promote the city and cycling opportunities in a joint effort ,” – says Alisa Hnydiuk, co-organizer of Veloforum, Institute of the city of Kryvyi Rih. 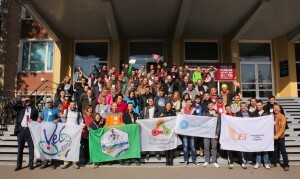 Veloforum is organized every year in a different city of Ukraine. The right of the city to hold a conference is gotten on a competitive basis. The organizers of Veloforum are Center for Social and Business Initiatives and Kyiv Cyclists’ Association, in partnership with cycling organizations and municipalities of host cities. 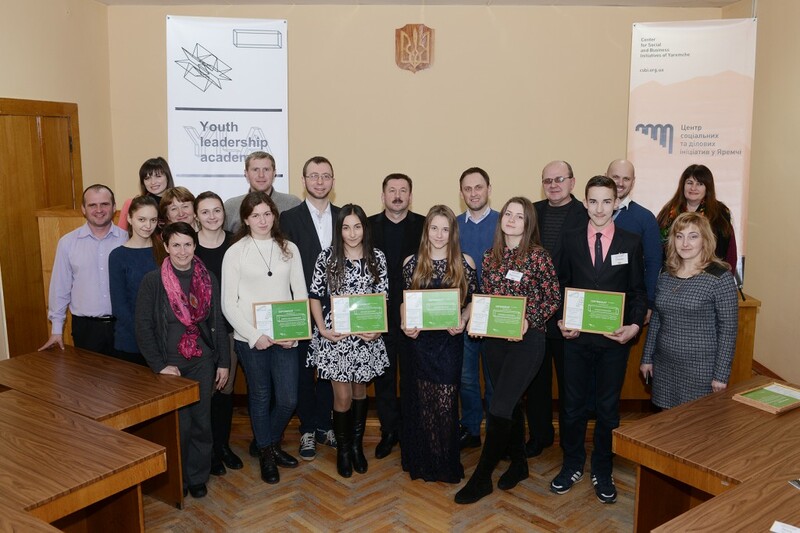 Previous year the event was held in Kyiv, Lutsk, Ivano-Frankivsk, Lviv, Poltava and Yevpatoria. Veloforum 2016 will be held in Kharkiv. We are expressing our sincere gratitude to the donor institutions and organizations that supported this year’s event, especially the European Union and the Heinirch Boll Stiftung in Ukraine. 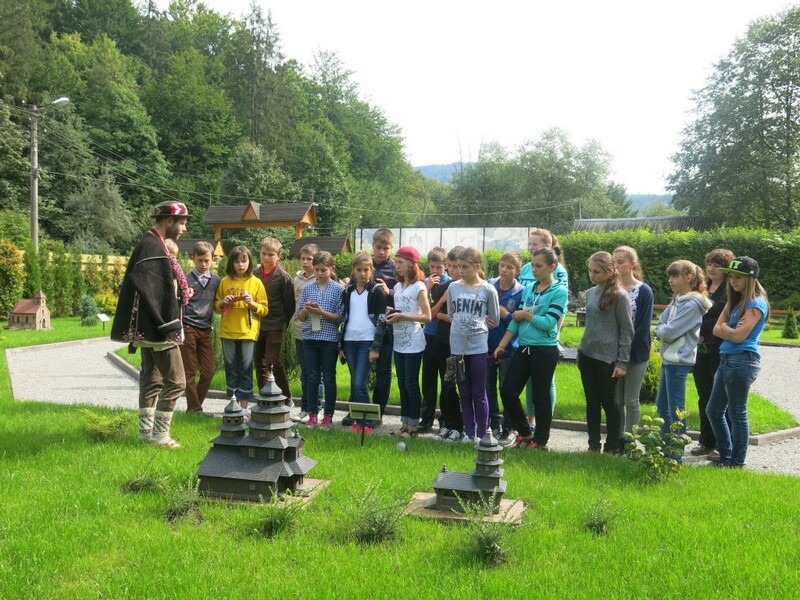 The open-air museum “Karpaty in Miniature” was attended by more than 300 school students, veterans of the military conflict and persons with disabilities, at no cost for them. This is the official statistics for the period starting from July 2015, when the museum was open. The mini-skansen is a result of cooperation of Center for Social and Business Initiatives, the Carpathian National Nature Park and socially responsible local businesses. 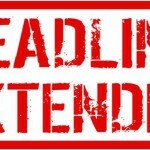 It works 7 days a week with a standard admission fee of 30 UAH (1.25 Euros).